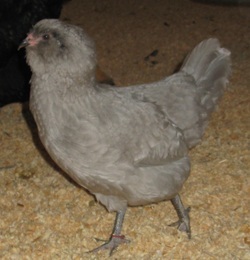 _Our rare lavender Ameraucana Chickens came from John Blehm's chick hatchery in Michigan in 2010. They lay a good sized blue egg which is quite intensely coloured. They age to a green after a few hours. Two of the hens hatched and raised 13 Euskal Oiloa chicks in 2011. 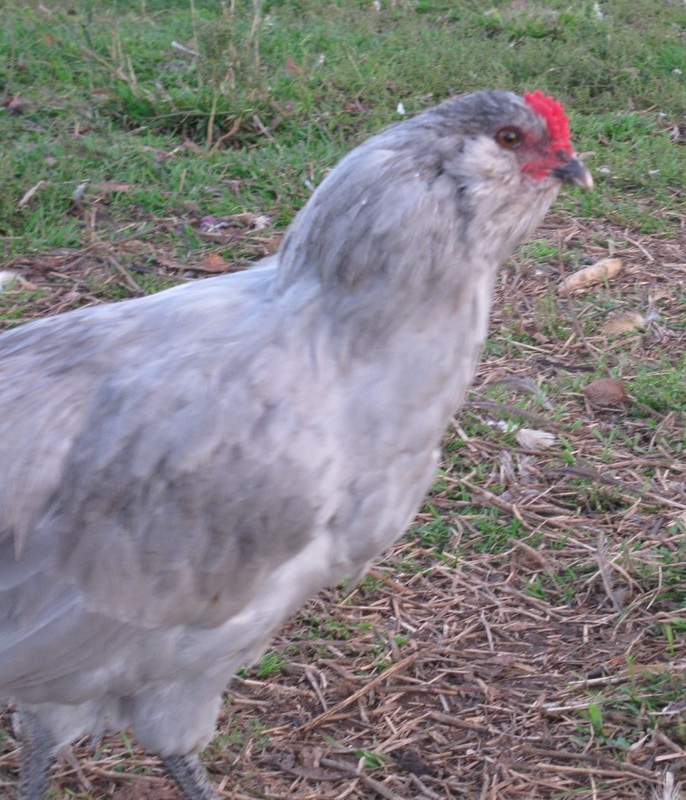 Their temperament is not the friendliest of all our poultry, but their usual looks, great foraging and beautiful eggs makes them a keeper heritage poultry breed.